We started Expedition after years of playing traditional tabletop RPGs because we weren’t satisfied. We understood how unique and creative playing RPGs can be - only to be constantly frustrated by their unnecessary complexity that made them slow and inaccessible. With Expedition, we seek to make a world where everyone feels enabled to create, play, and share their own interactive stories, bringing creativity, connection and pride to our players. To do that, we’re making creating and playing interactive stories as fast, fun and easy as possible. Back in 2014, we started with a hand-written prototype. When our friends tried it out, they fell in love and wanted their own copy, so we made a black and white PDF and decided to make available to anyone for free. Within a few months, it had been downloaded over 700 times, and so we decided to launch on Kickstarter. We learned a lot from that first Kickstarter, and made the decision to cancel and relaunch 6 months later, successfully raising over $21,000. 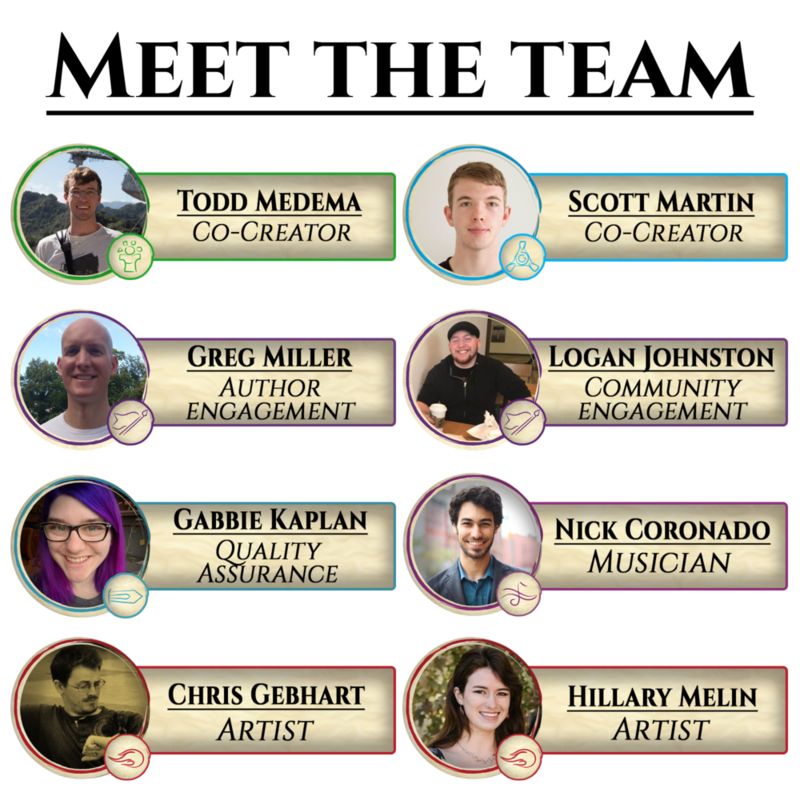 Energized by the rapidly growing community, we developed a card creator and quest writing tool that have enabled our community to take the game far beyond its original size. One year later, we launched the first expansion - The Horror - and raised over $64,000 to bring new cards and mechanics to the game, including online multiplayer built right in to the app. Expedition now has over 100 quests and continues to grow, with monthly writing contests helping to encourage storytellers from around the world to share their adventures, whether they’re a veteran roleplayer or they’ve never played an RPG before.